The more you give, the more you’ll gain! Rosa interviewed Pod Volunteer as part of her Georgraphy dissertation research on the topic of voluntourism. We have invited her to share her findings as a guest blogger. “Hi, I’m Rosa – a recent geography graduate. I love learning how the world works, particularly how people interact with each other and the planet! This along with my volunteering experiences sparked my curiosity in Voluntourism. But writing my 12000 word dissertation on this contemporary topic, took my interest to the next level! Voluntourism has rapidly become one of the most popular ways to travel, particularly amongst women. It may be one of the very few industries in which patriarchy does not equal privilege! But in recent years, Voluntourism has come under fire - accused of being purely driven by profit. This buying and selling of volunteering opportunities and tourist experiences commodifies people’s misfortunes and undermines people’s desire to help. It sends out the signal that: only those who can afford to pay can partake in such programmes! Or frames volunteering as simply an opportunity to enhance a C.V. In fact now many organisations do not want to be associated with the term at all! Whilst this dynamic does exist, it would be wrong to label it as the universal modus operandi for all voluntary organisations. My research has taught me that: core values determine the ethos of an organisation. The Voluntourism industry is dependent on the co-operation between the organisation, the volunteer and the host country (not studied in my dissertation!). So, from a more individual perspective: why do people volunteer? 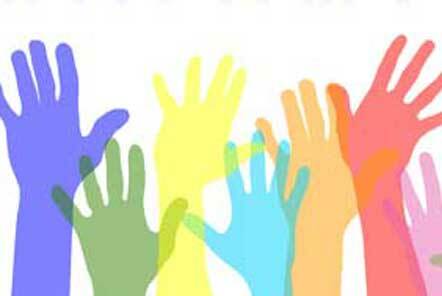 Generally speaking, volunteers believe they have the potential to breakdown the cultural divide between ‘us and them’. But if Voluntourism is to be effective, mutual benefit is key! Volunteers need to prioritise empathy not sympathy. In my opinion, one of the biggest mistakes a volunteer can make is: using their experience in their host community as an excuse to update their profile picture on Facebook or gain multiple likes on Instagram. Because the moment that happens, a superficial and patronising dynamic is established and the essential mutual exchange element of Voluntourism is lost! Currently Voluntourism is accessible to everyone. This does not automatically mean that everyone is suited to volunteering. Those individuals who participate on purely self-centred grounds and undermine the intentions of the industry should be weeded out and replaced with more globally conscious individuals who recognise and understand privilege; are open-minded and willing to learn and exchange culture and knowledge and most importantly are aware that their personal contribution has limitations - you can’t change the world single-handedly!